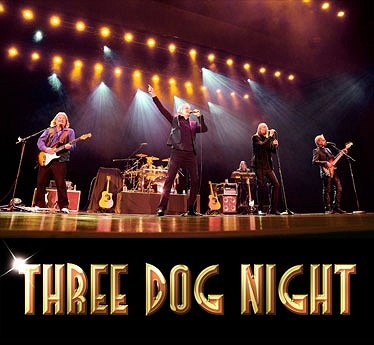 Subject: LongIsland.com - Your Name sent you Event details of "Three Dog Night at The Paramount"
We are proud to welcome for the first time at The Paramount, legendary music icons Three Dog Night! Celebrating nearly 5 decades of music, the band claims some of the most astonishing statistics in popular music. In the years 1969 through 1974, no other group achieved more top 10 hits, moved more records or sold more concert tickets than Three Dog Night! You will hear all the hits like “Joy to the World”, “Mama Told Me (Not to Come)” and “Shambala”.